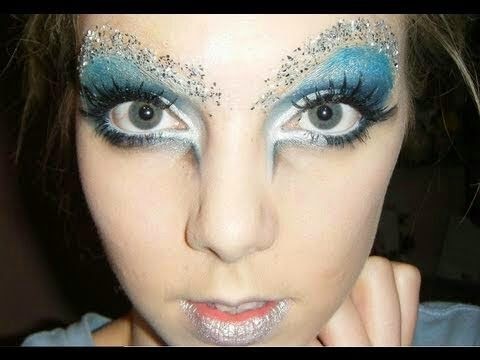 CHECHESMITHNATION : Snow Queen Make-Up It Is. Amazingly inspired by winter/Christmas season, Ice Queen! Snow Queen! 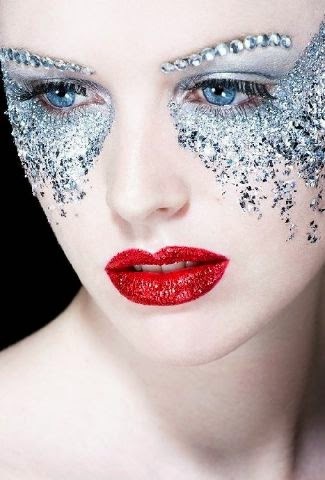 Make-up..this catchy look will sure make you want to scream 'I M CATCHING COLD OO"..It looks so frosty though but with elegance that is way on top! Dramatic I must say, with so much effect that makes it quite catchy, accompanied with that frozen look that is so real. It’s said to be used mainly on the "RUNWAY" by models, sharp photographers on shoots, movie sets etc but this make-up artists are so daring at this I must say, so unique with a wintry look that looks like a stick on till Christ comes. But don’t worry! Though it stays on, it won’t melt or smear all-over, but it’s washable whenever you feel like it. THIS STYLE OF MAKEUP IS AMAZING. I LOVE IT. IT HAS NO BOUNDARIES.